On Sunday 2 November, 2014, the Stocksbridge Christian Centre celebrated the completion of its renovation work by opening the church’s facilities to 12 community organisations to display their work. This was made possible by a grant of £21,000 from the Veolia Environmental Trust. 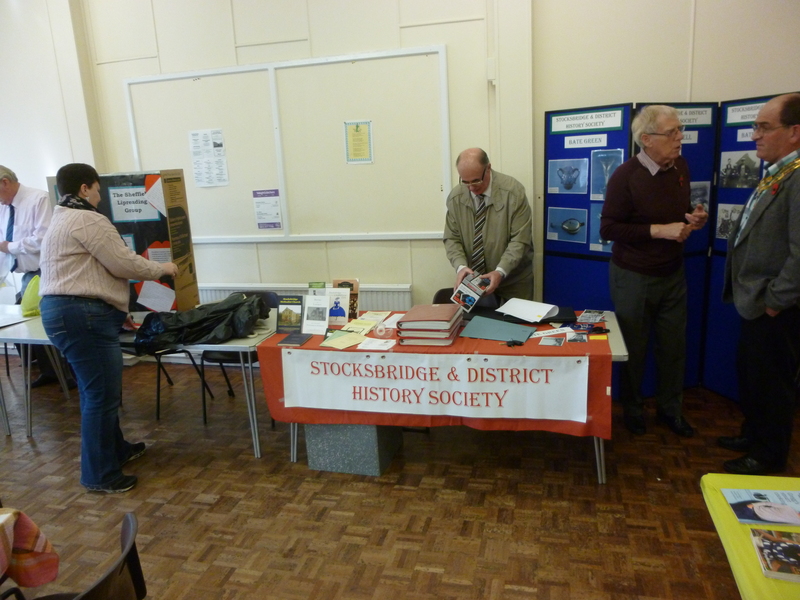 Among groups present were Bolsterstone Male Voice Choir, Probus, Stocksbridge and District History Society, the Lip Reading Group, and the Stocksbridge Bell Ringers. The Boys’ and Girls’ Brigades, who set up companies in Stocksbridge in Spring 2015, were actively recruiting during the event. There was a service for the re-dedication of the facilities, and the official opening of the refurbished church by the Mayor of Stocksbridge, Councillor Nigel Owen who unveiled a plaque recording the grant made by Veolia. Below are some photographs taken at the event. Getting set up in the Church Hall. 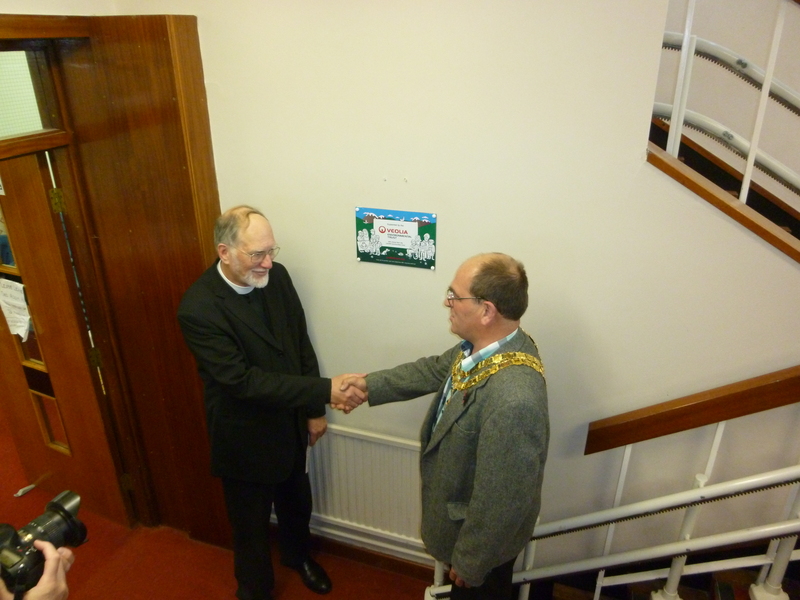 Councillor Owen unveils the plaque. Councillor Owen and the Revd. James H. Grayson shake hands. 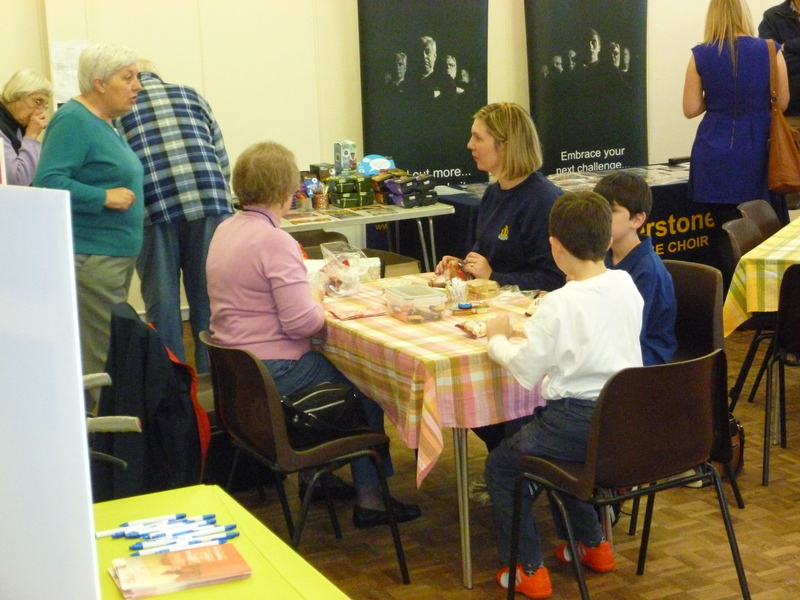 A family enjoys some refreshments in the Church Hall.